Curtis Marsh examines the prejudices and misconceptions that distort wine opinion around the world, and how these attitudes are influencing consumers in Asia. 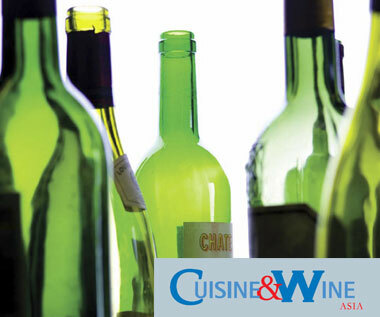 There are many inconsistencies on the world wine stage when it comes to perceived wine quality, popularity (or unpopularity) of particular grape varieties, wine styles, regions or even entire countries. Sometimes, these anomalies have a rational explanation, yet in many instances there are perplexing and illogical evaluations or warped idealisms that render even the unquestionable quality of a highly regarded wine irrelevant and banished to consumer oblivion. Although we are dealing with an acutely subjective indulgence blurred by introspective personal tastes and unpredictable biases, ardent consumer patriotism in wine producing countries is a most evident criterion — there is nothing more potent than nationalism when it comes to forming wine opinion. Full article below. We suggest click on the Fullscreen option for better reading experience. This article was publish in Cuisine & Wine Asia. All Rights Reserved.